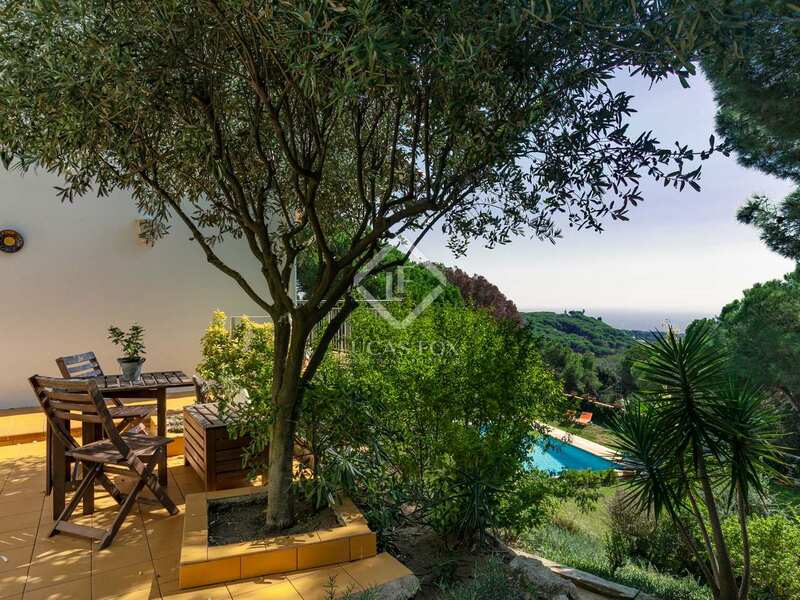 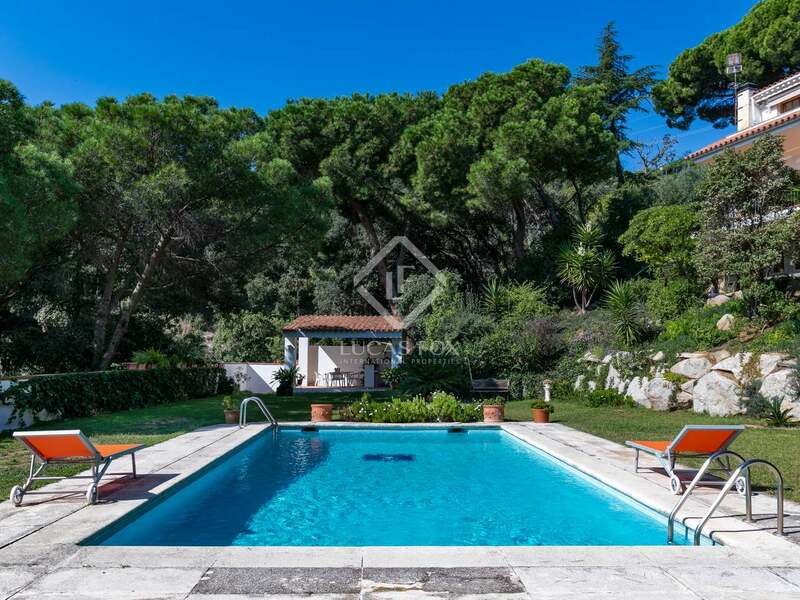 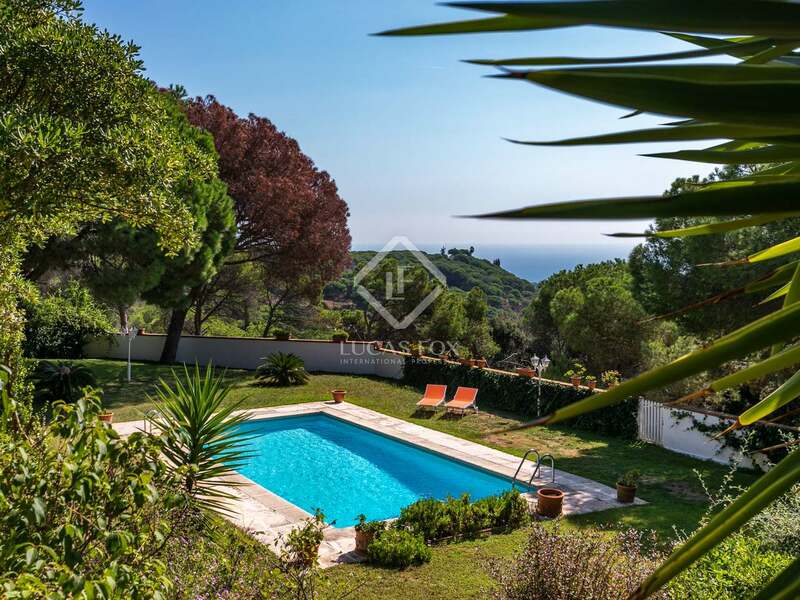 5-bedroom Mediterranean villa with amazing sea views and a swimming pool for sale in Sant Andreu de Llavaneres. 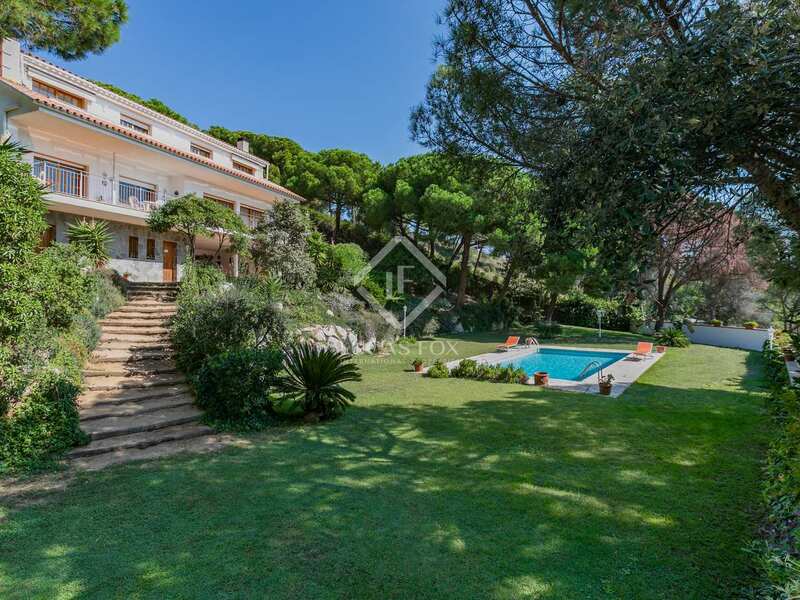 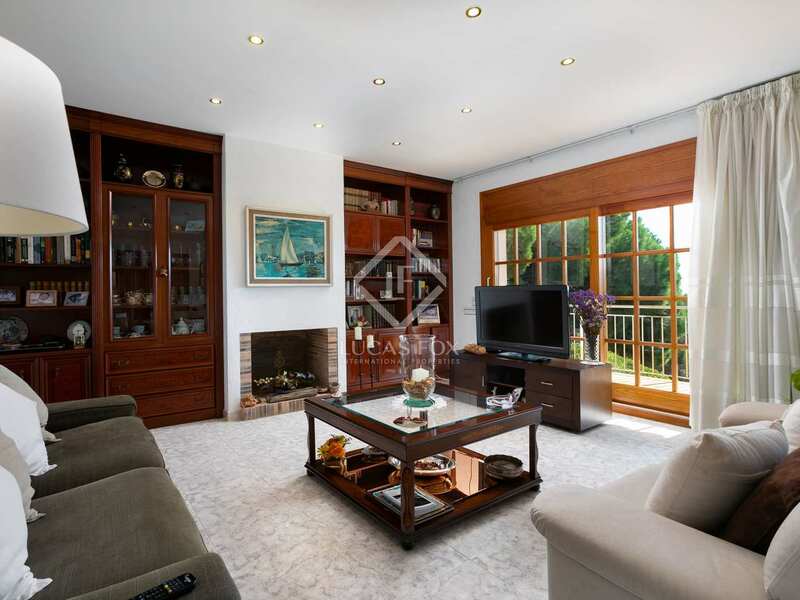 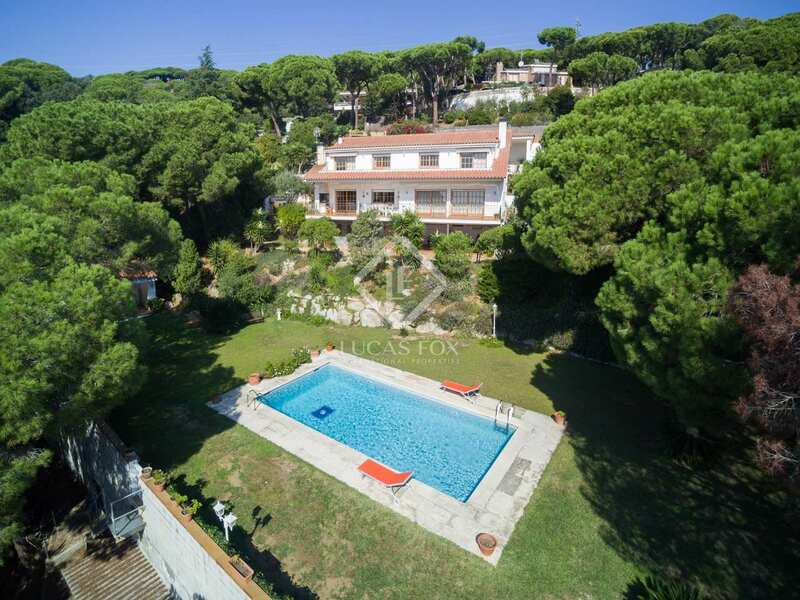 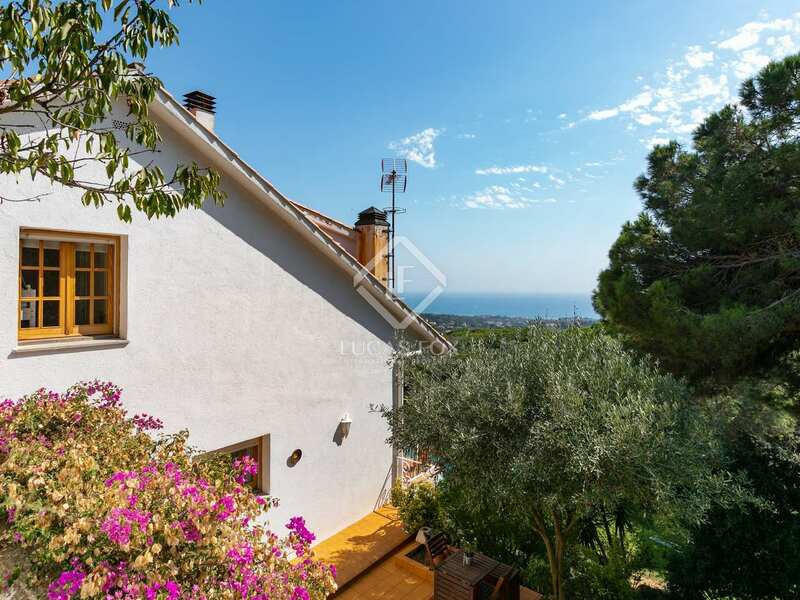 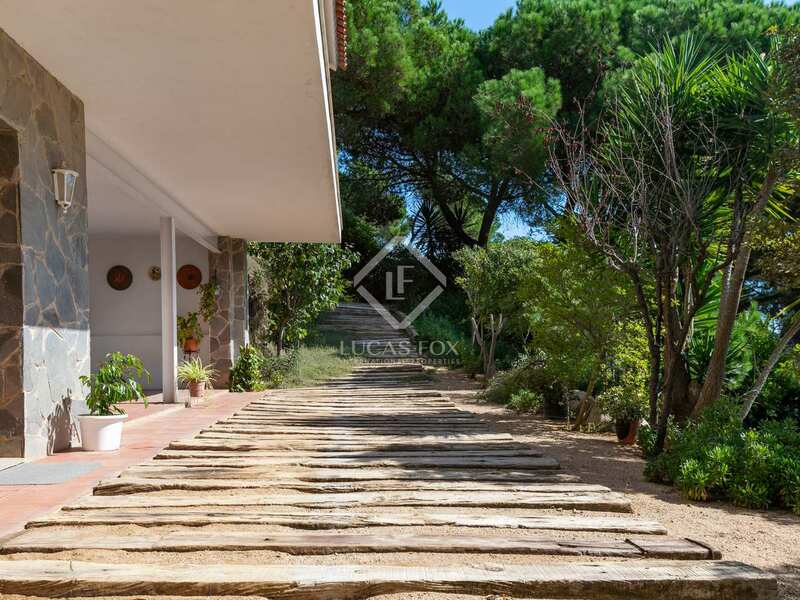 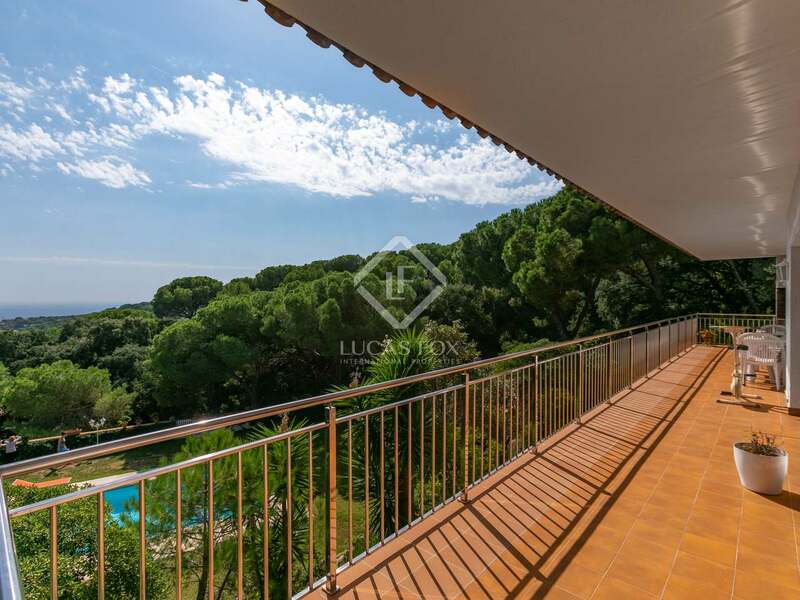 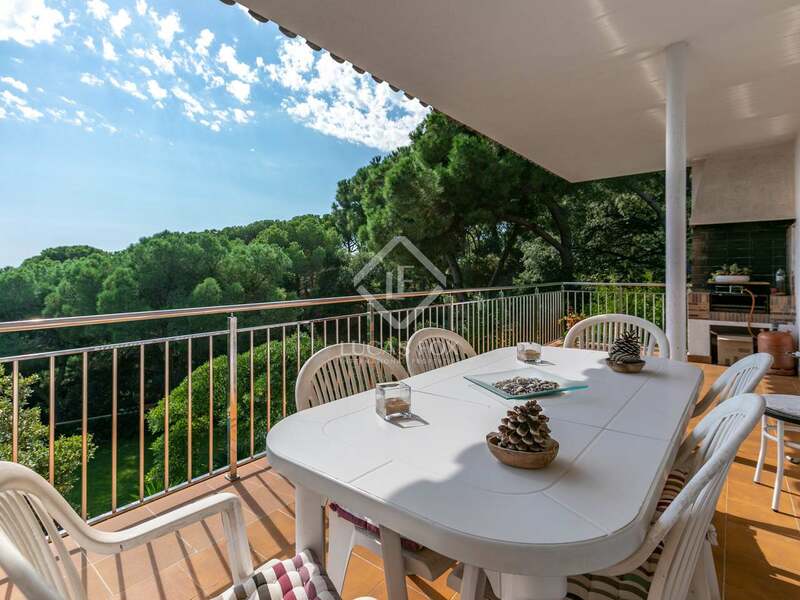 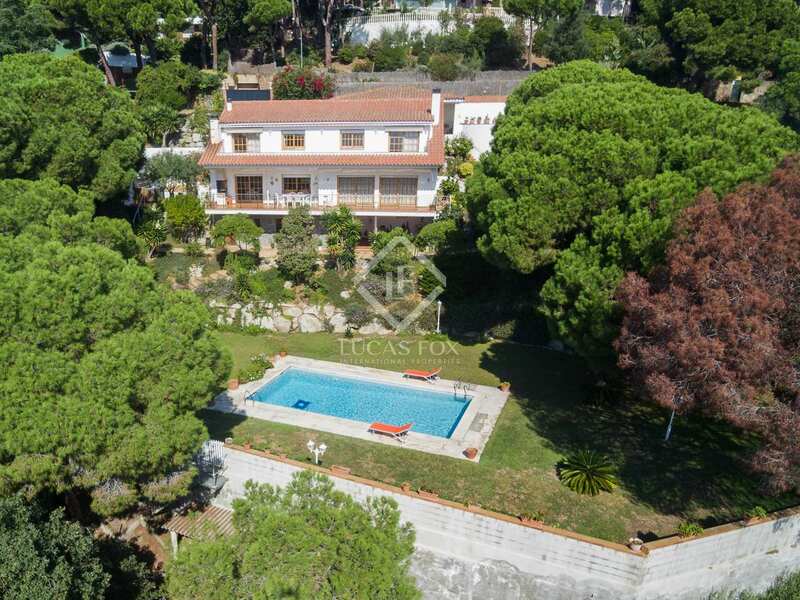 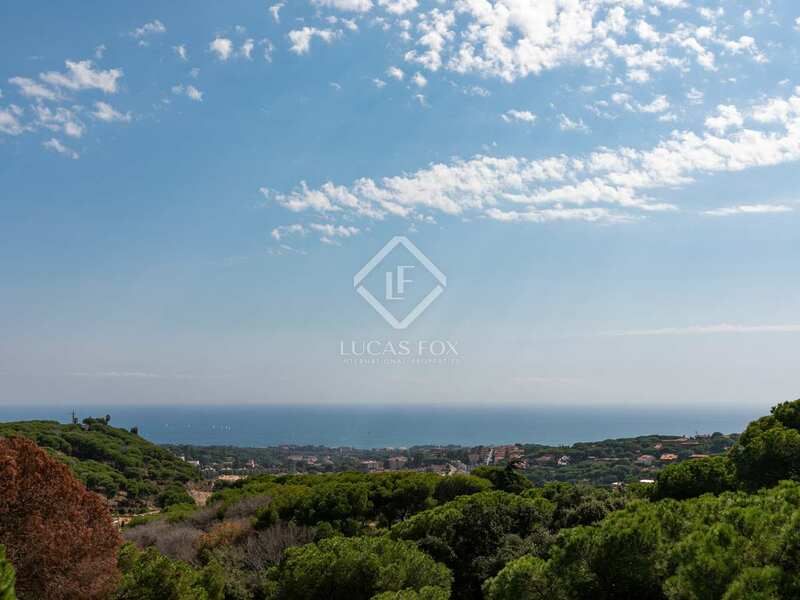 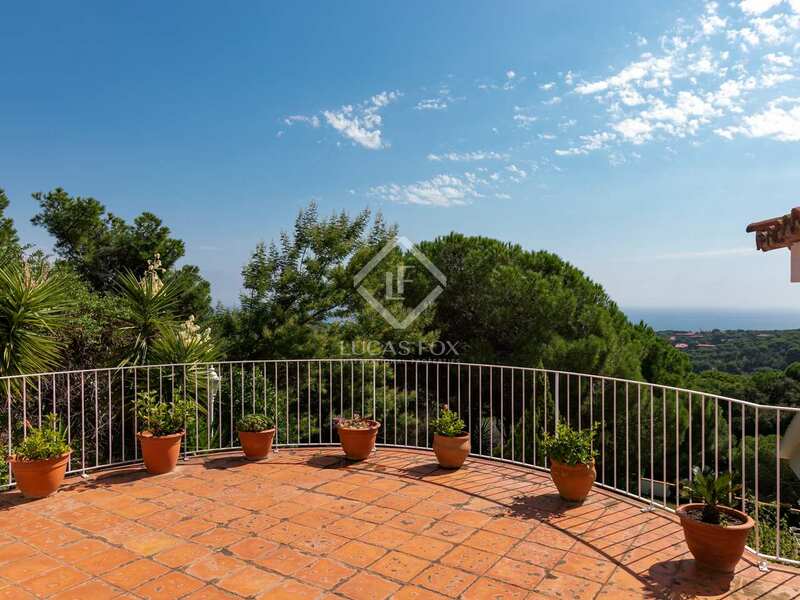 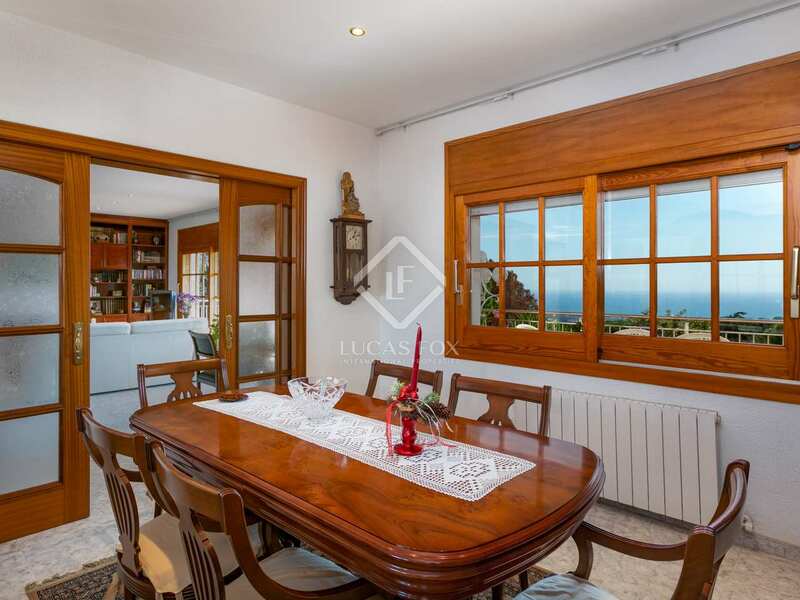 A 331 m² traditional style villa with a generous 2,017 m² plot, sea views and abundant natural light, located in a peaceful area close to Sant Andreu de Llavaneres. 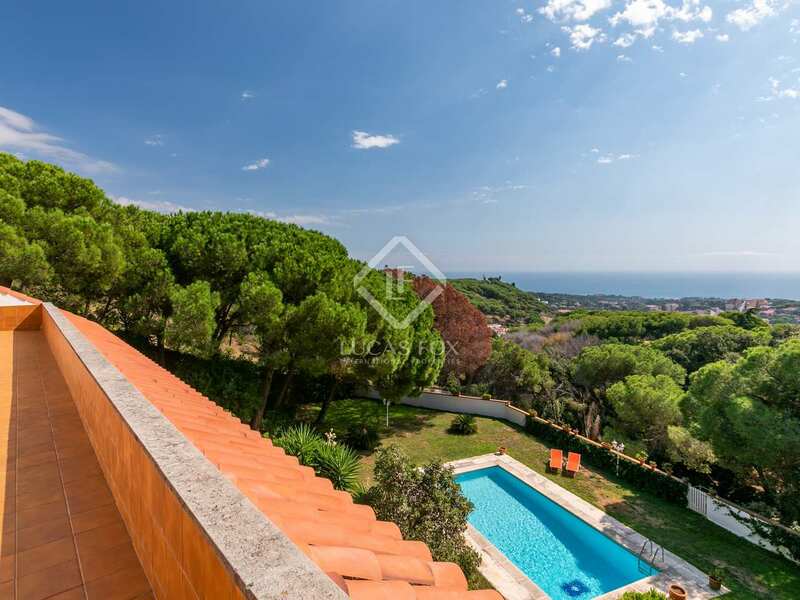 Built in 1994 this villa was designed to make the most of its large south-facing plot and wonderful sea views. 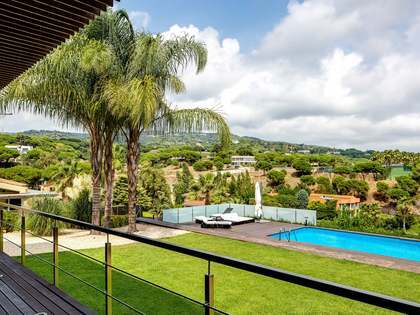 The property is distributed over 3 levels and is filled with natural light. 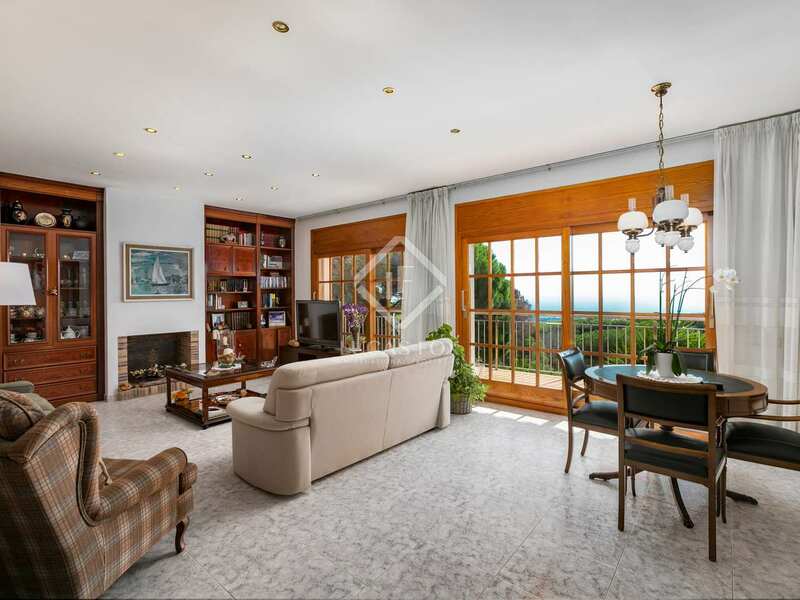 On the ground floor the entrance hall leads through to the dining room with a log fire and doors out to a terrace with a barbecue. 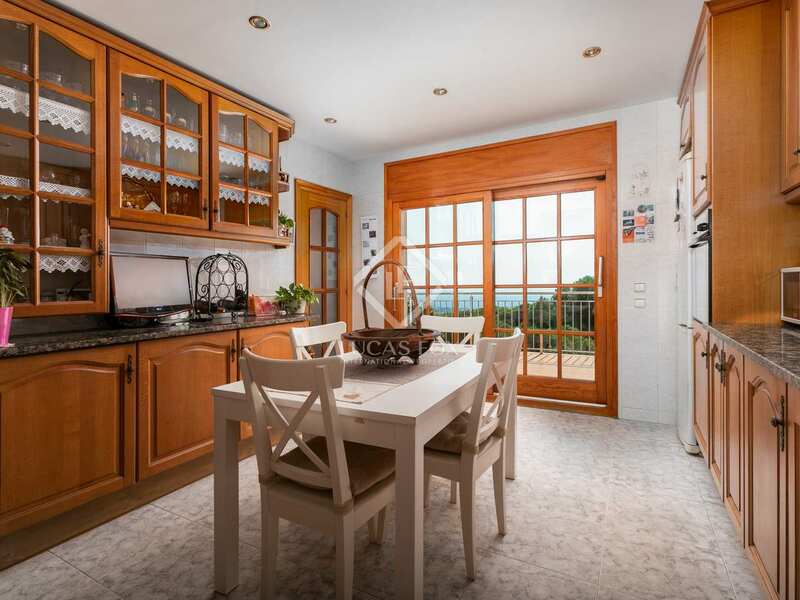 Also on this floor is the dining room, kitchen, guest toilet and laundry room. 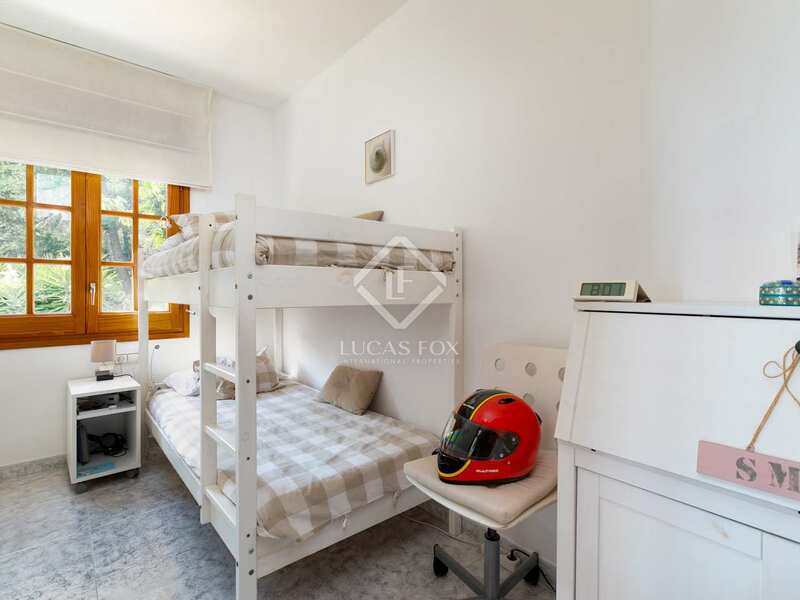 On the first floor we find the master bedroom suite with doors to a terrace, 3 further double bedrooms, a single bedroom and a bathroom. 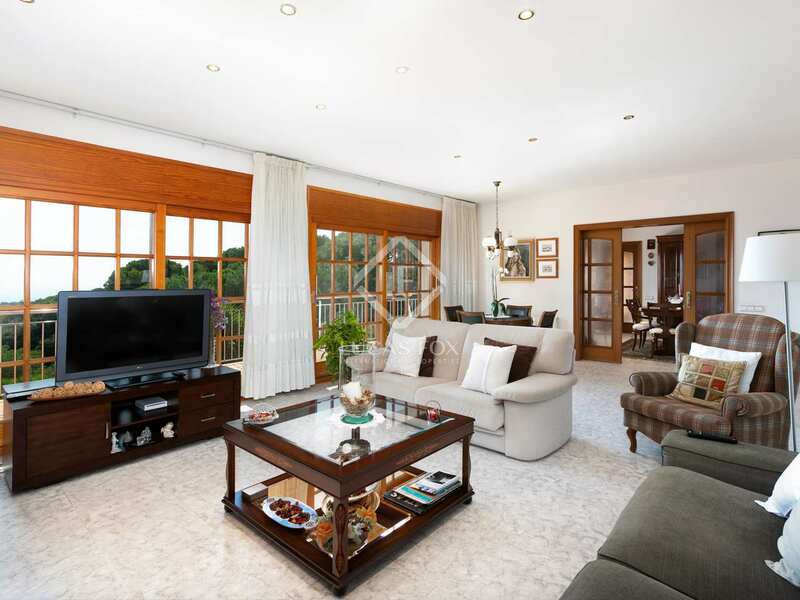 This level has direct access to a covered parking area for up to 4 cars. 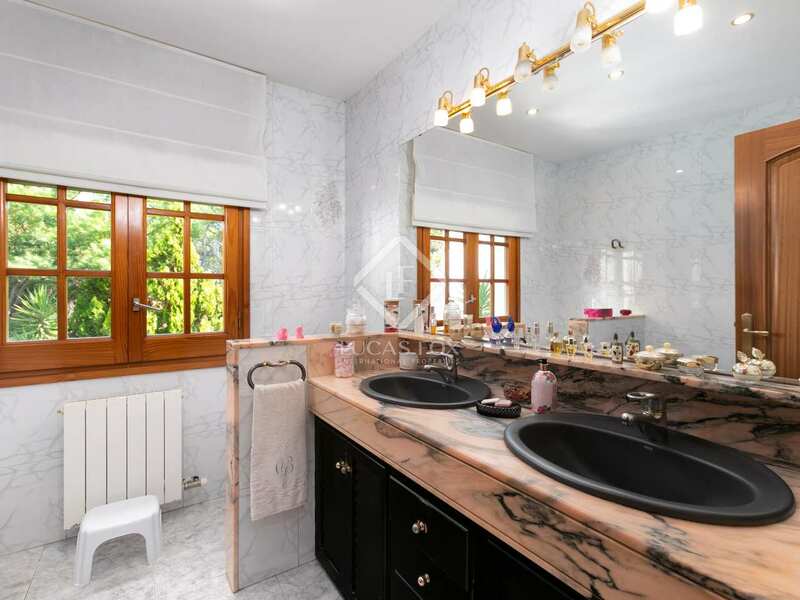 On the lower ground floor there are swimming pool changing rooms with a toilet, a covered dining area, wine cellar and machine room. 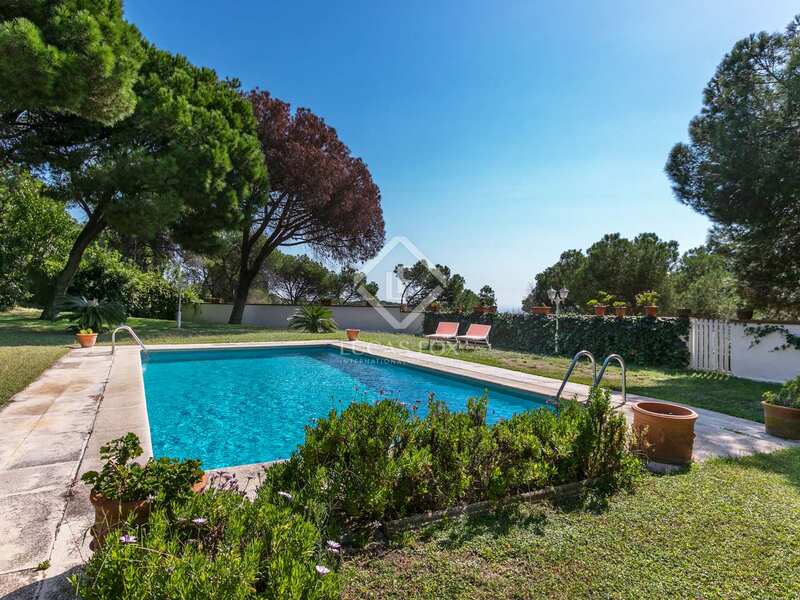 Outside, the garden features a swimming pool, lawns and mature trees. 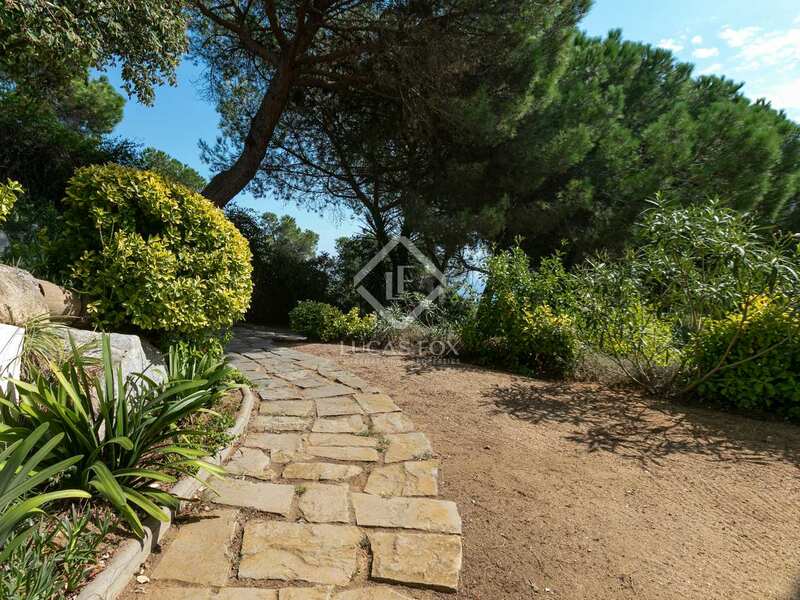 The plot is surrounded by pine trees and offers plenty of privacy. 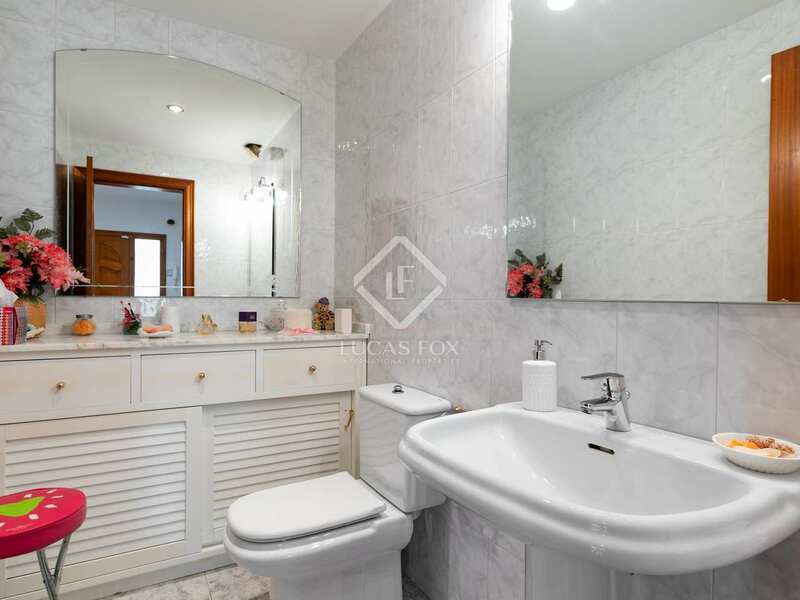 The house has central heating and is well maintained but needs some cosmetic updating. 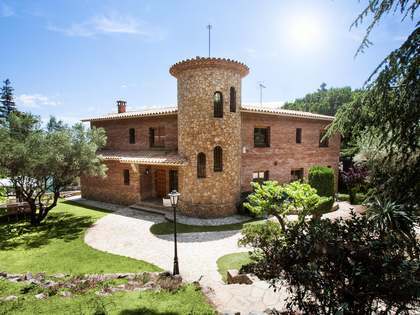 It would make a great second home or even a primary residence for a family. 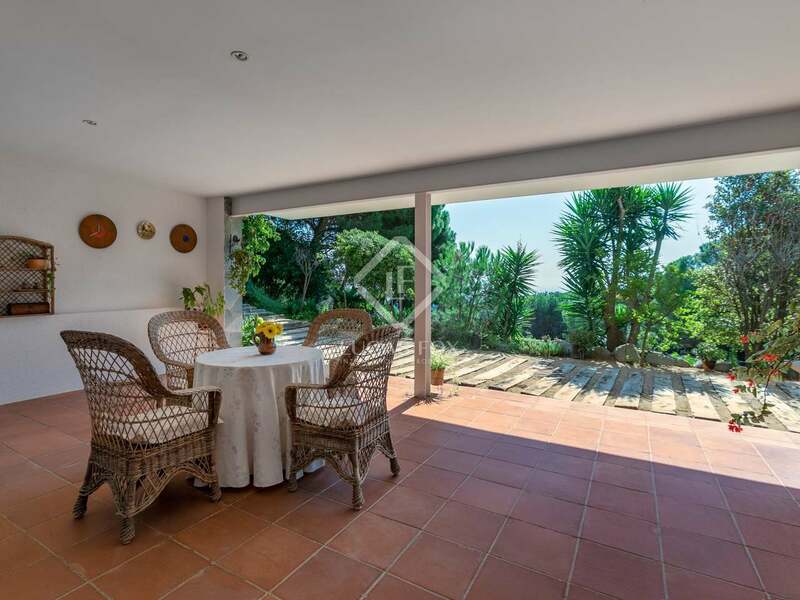 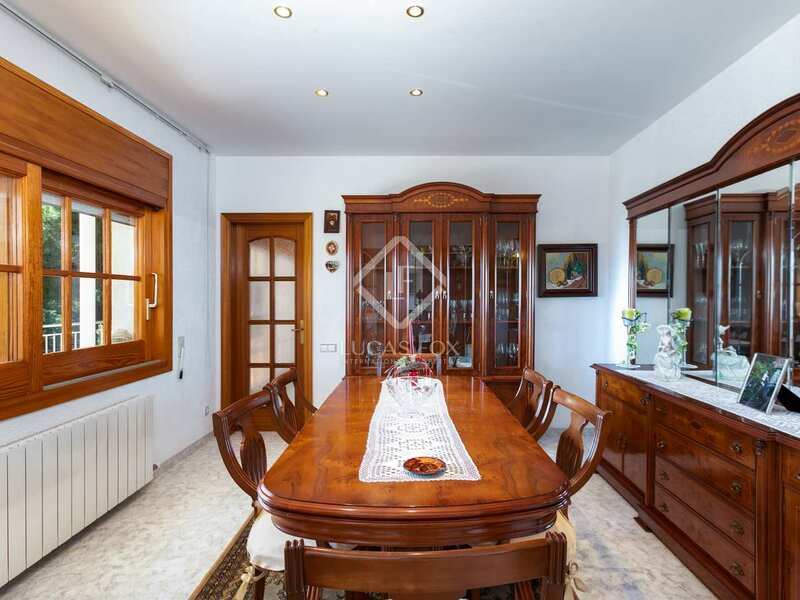 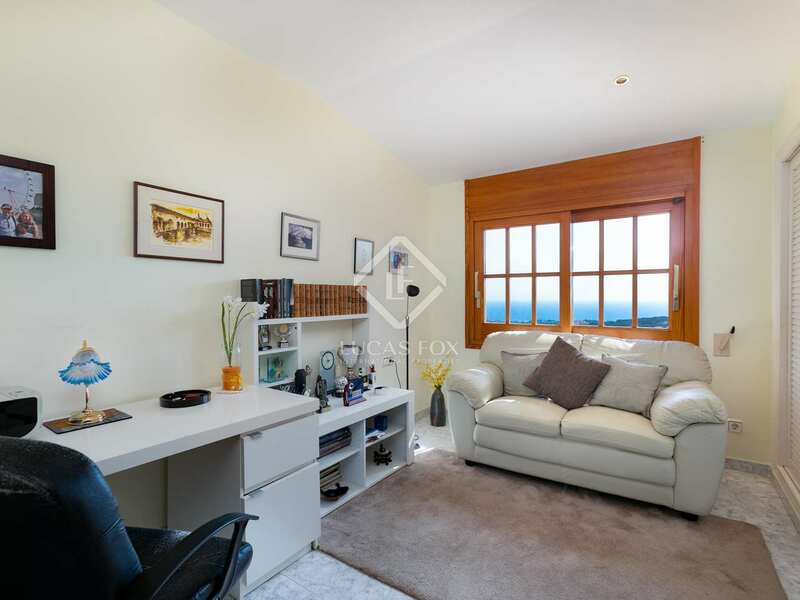 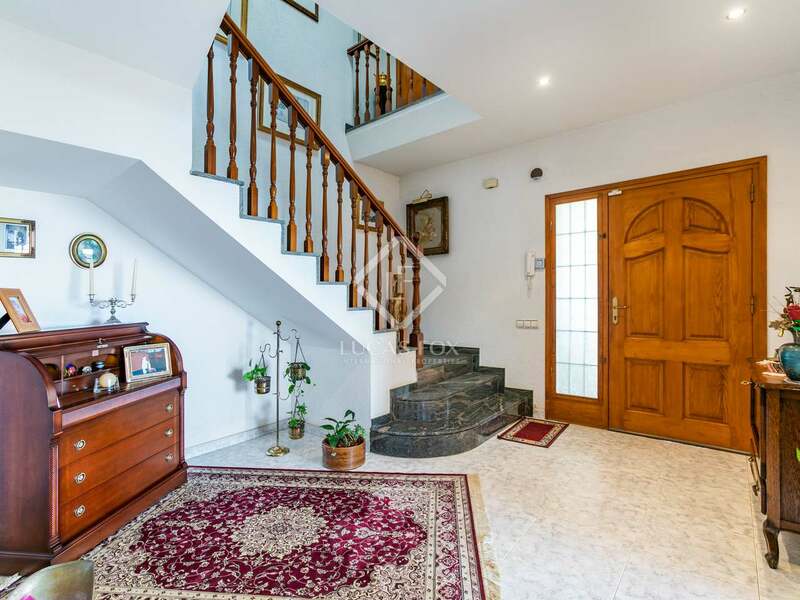 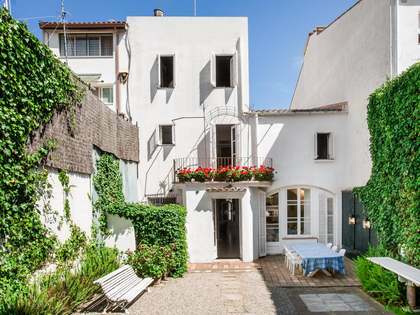 Located in a peaceful residential area just above the town of Sant Andreu de Llavaneres, with access to the centre in less than 5 minutes by car. 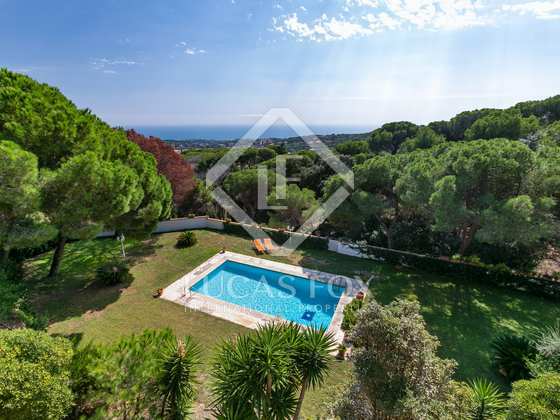 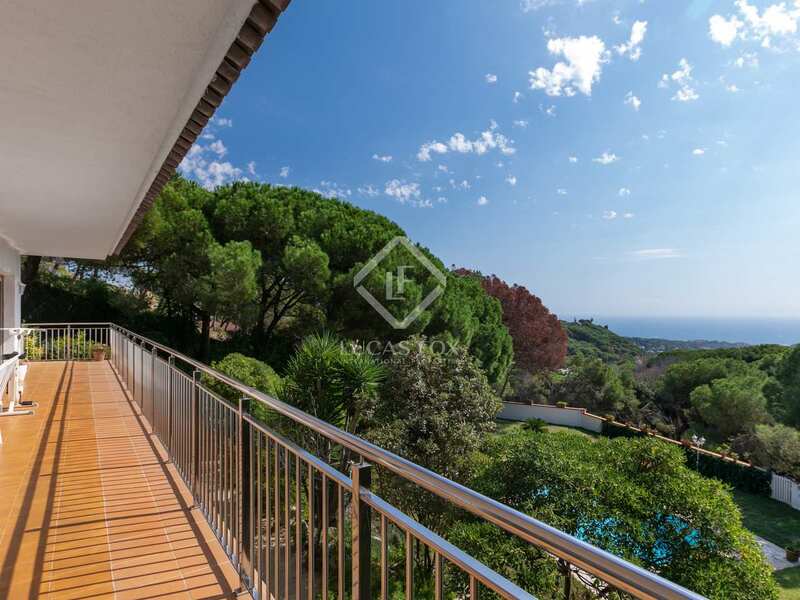 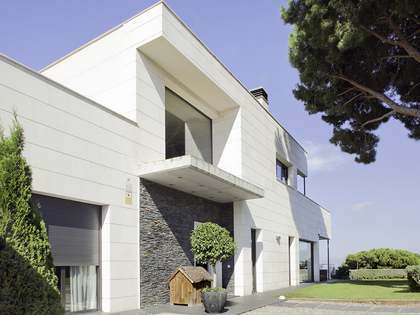 Located just 3 km from the beach and Port Balis marina and approximately 30 minutes´ drive to Barcelona city.